What’s more fun than a carnival? 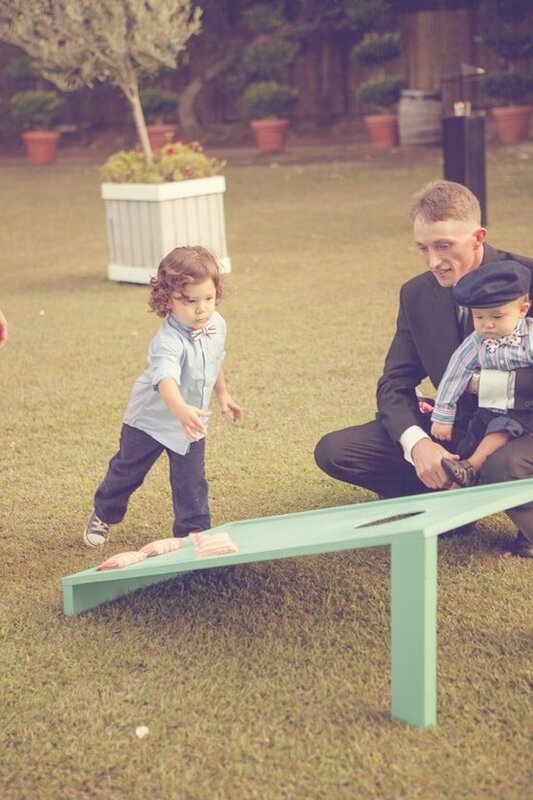 Why not incorporate that innocent, joyous fun into your wedding day? 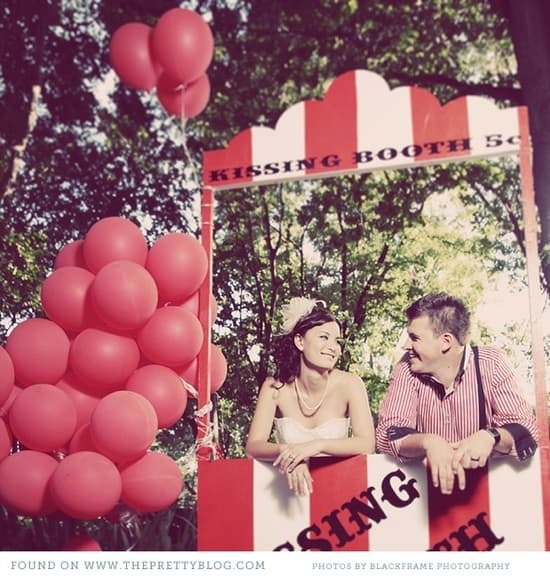 Here are a few ideas you can use if you plan to have a fun carnival wedding. 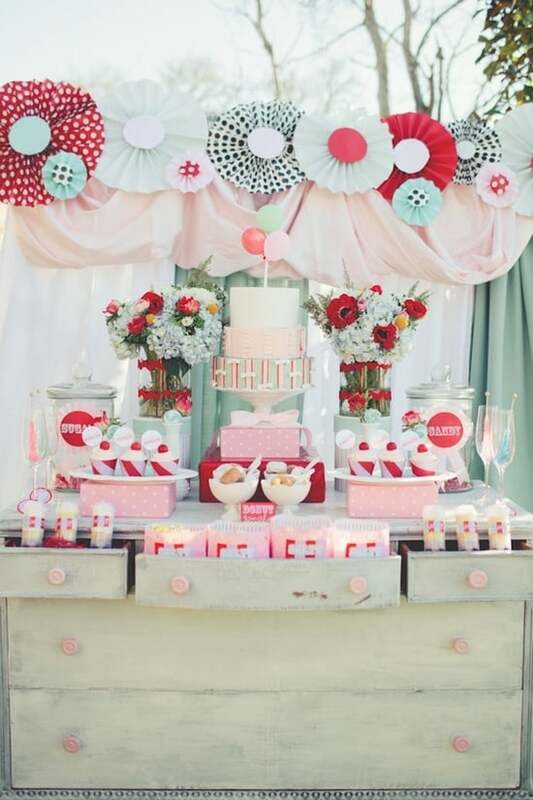 The food for a carnival wedding will be easy and a lot of fun. 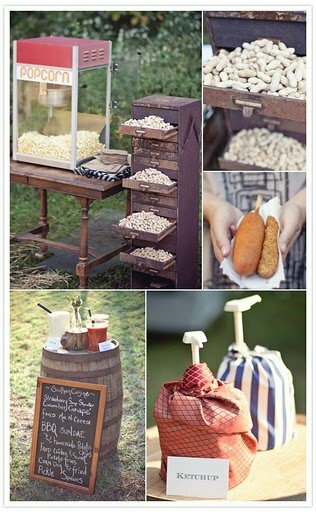 Create small bags of popcorn that guests can pick up whenever they want. 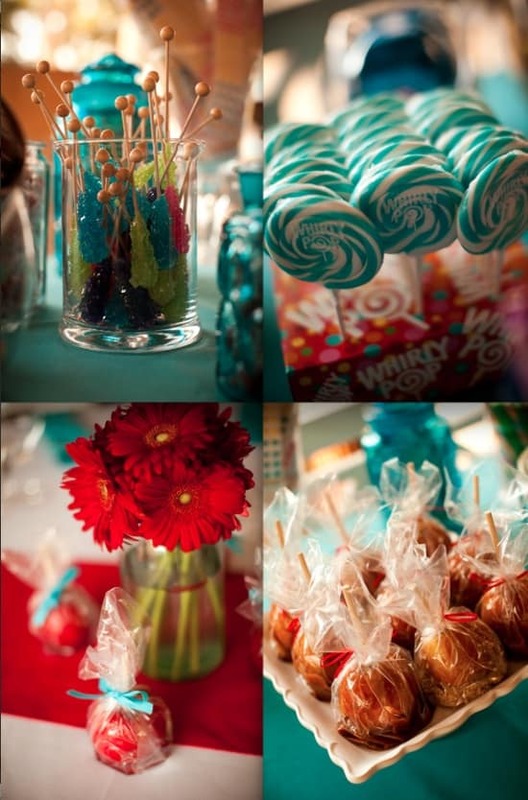 Other “appetizers” can include cotton candy, candy apples and donuts. 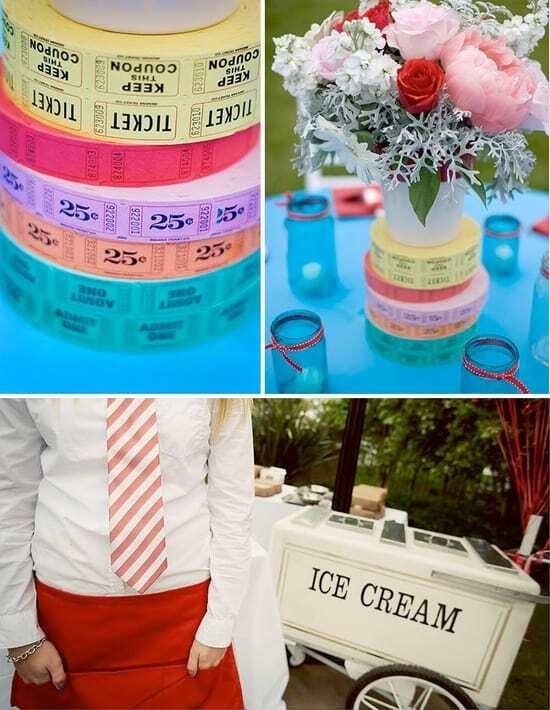 Create a drinking “concession stand” with lemonade, soft drinks and various other drinks that are carnival-like. If you can secure a red and white tent, you must! What’s more carnival-like? 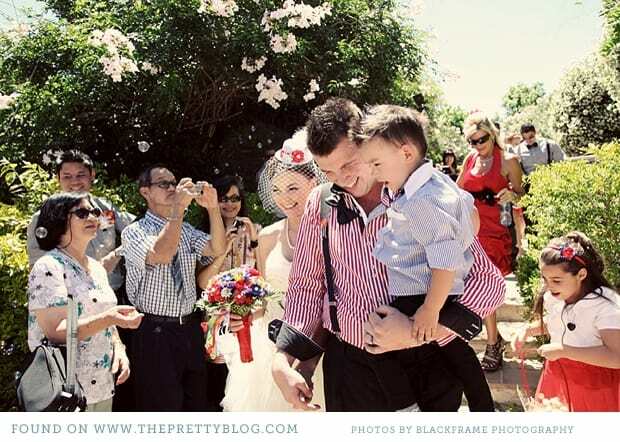 Great handmade bunting is fun and beautiful for a carnival wedding. Think bright, beautiful colors and fresh patterns. One great way to get ideas is to look up actual pictures of the carnival and get wonderful ideas from that. 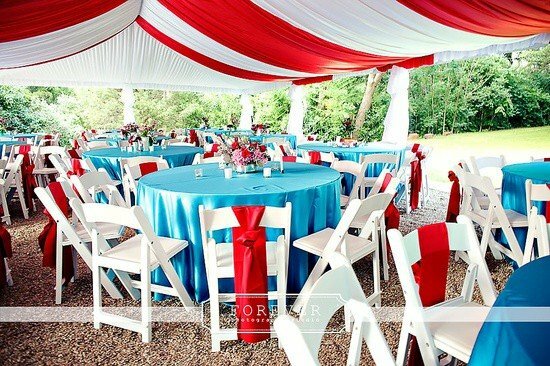 Strung lights and colorful fabrics are beautiful ideas for a carnival wedding. 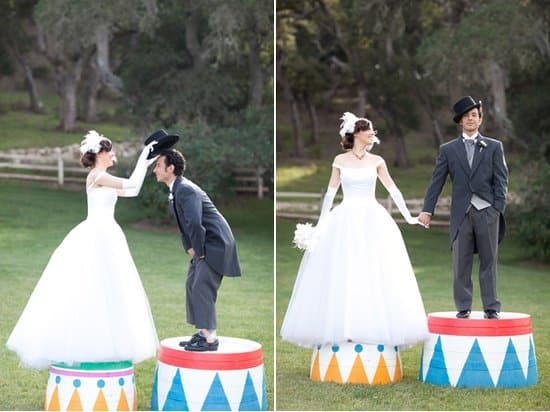 The great thing about a carnival wedding is you can do whatever you want when it comes to ensembles. Keep it more traditional, or go all out with carnival themed costumes. It’s totally up to you – do what you love the most. Don’t forget the carnival games. 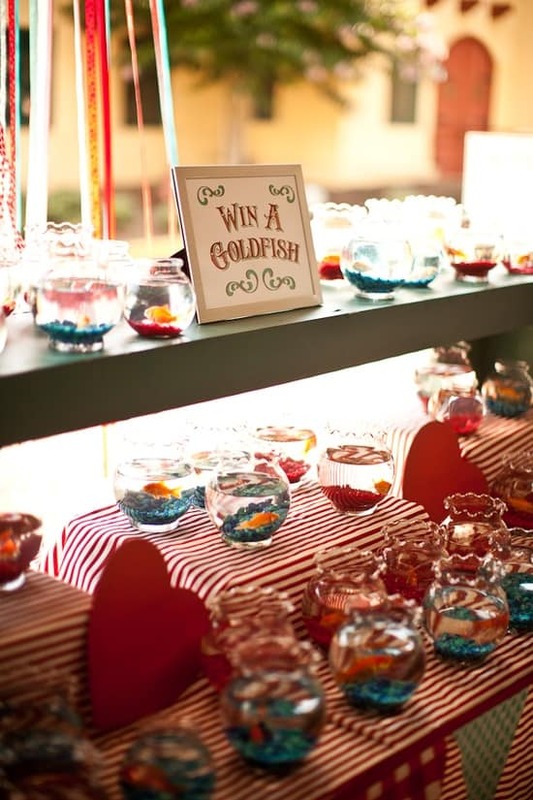 Include things like the ring toss or the ball toss to make the carnival even more authentic. This looks like a lot of fun, thanks for sharing these details. 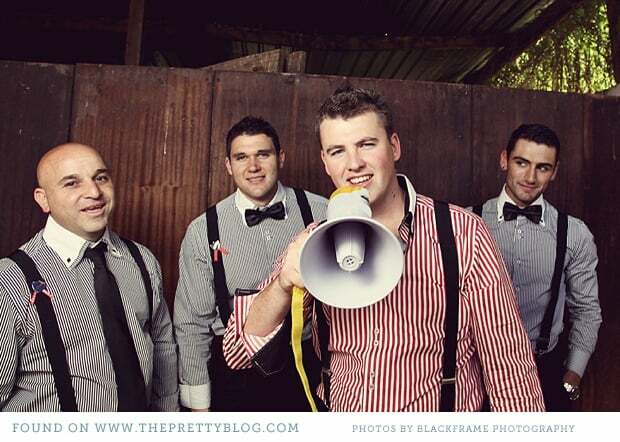 I want to be at this wedding.